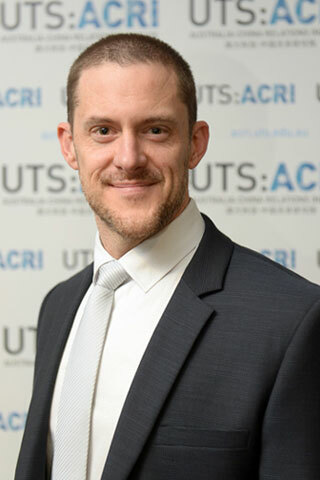 Professor James Laurenceson is Deputy Director of the Australia-China Relations Institute (ACRI) at UTS. He has previously held academic appointments at the University of Queensland (Australia), Shandong University (China) and Shimonoseki City University (Japan). His research has been published in leading scholarly journals including China Economic Review and China Economic Journal. Professor Laurenceson also provides regular commentary on contemporary developments in China's economy and the Australia-China relationship. His opinion pieces have appeared in Australian Financial Review, The Australian, Sydney Morning Herald, South China Morning Post, amongst many others. 2010 Citation for Outstanding Contributions to Student Learning, Australian Teaching and Learning Council. Laurenceson, J., Bretherton, H., Burke, P., Wei, E. 2019. Chinese investment in Australian infrastructure assets: accounting for local public preferences. China Economic Journal, 12, 77-92. Ma, G., Laurenceson, J. 2017. China's debt challenge: stylised facts, drivers and polic implications. Singapore Economic Review, 63, 1-23. Laurenceson, J. 2017. Economics and freedom of navigation in East Asia. Australian Journal of International Affairs, 71, 461-473. Laurenceson, J., Burke, P., Wei, E. 2015. The Australian public's preferences over foreign investment in agriculture. Agenda: a journal of policy analysis and reform, 22, 45-60. Laurenceson, J., O'Donnell, C. 2014. New estimates and a decomposition of provincial productivity change in China. China Economic Review, 30, 86-97. Carmignani, F., Laurenceson, J. 2013. Provincial business cycles and fiscal policy in China. Economics of Transition, 21, 323-340. Laurenceson, J. 2013. Interpreting fluctuations in output growth in China. China Economic Journal, 6, 12-20. Laurenceson, J., Rodgers, D. 2010. China's macroeconomic volatility: how important is the business cycle? China Economic Review, 21, 324-333. Laurenceson, J. 2008. Chinese investment in Australia. Economic Papers: a journal off applied economics and policy, 227, 87-94. Jiang, B., Laurenceson, J., Tang, K.K. 2008. Share reform and the performance of China's listed companies. China Economic Review, 19, 489-501. Laurenceson, J., Chai, J.C.H. 2003. Financial reform and economic development in China. Edward Elgar, Cheltenham. 'Financial Reform and Economic Development in China represents a rigorous yet readable account of financial market liberalization in China. '- Bryane Michael, China Information China's prospects of successfully completing the transition to a market economy and becoming the world's largest economy during the 21st century depend on the future sustainability of high rates of economic growth. © James Laurenceson and Joseph C.H. Chai 2003. All rights reserved. © 2017 World Scientific Publishing Company This paper begins by showing that even after conditioning for factors that might justifiably lead to a country having relatively high leverage, China remains a debt outlier. In this sense, China can be regarded as over-leveraged and its debt levels may present potential risks to growth and financial stability. The corporate sector is central to China's debt story, accounting for two-thirds of the total. Moreover, the corporate sector has been mostly responsible for China's leverage cycles, including the leveraging up since 2008 and an earlier deleveraging phase starting in 2003. Two major but under-appreciated drivers of Chinese corporate leverage cycles are then identified. The most important is the share of internally funded corporate capital expenditure, which is a combined consequence of evolving corporate earnings and capital expenditure. The second is the rising importance of real estate and construction firms as holders of corporate debt. China's corporate leverage landscape is also shown to be more complex than a story of zombie state-owned enterprises in industrial segments with excess capacity being ever-greened with loans from state banks. A balanced mix of policy responses will be needed to manage a warranted and orderly deleveraging cycle in the years ahead. © 2017 Australian Institute of International Affairs. Public calls for a more aggressive regional response to China's pressing of its territorial claims in the South China Sea are typically couched in terms of the threat posed to freedom of navigation. Yet this invites an obvious question: If freedom of navigation, a vital interest for nearly every country in the region, is at risk, why has the regional response to China's actions to date been so limited? This article argues that one compelling explanation lies in the economics of freedom of navigation in East Asia. Put simply, the risks of freedom of navigation being impeded are frequently overstated, and a more sober assessment of these risks can reduce the incentive that countries have to take more dramatic action. Productivity and efficiency change lies at the heart of achieving sustainable growth in China. This paper computes and decomposes provincial-level Färe-Primont TFP indexes for the period 1978 to 2010. On average across provinces, we find evidence of rapid TFP growth mostly due to technical change, but with changes in scale-mix efficiency also playing a supplementary role. Considerable heterogeneity from province to province is also documented both with respect to the rate of TFP growth and its components. Policy implications are discussed. © 2014 Elsevier Inc. Unlike in OECD countries, fluctuations in output growth in China are not straightforward in their interpretation. On the one hand, they reflect the business cycle, which results from shocks to aggregate demand. On the other hand, they also reflect the structural transformations that have accompanied China's transition to a market economy. Demand shocks can be identified by virtue of the persistence of their impact. This paper decomposes the variance in provincial, regional, and national output growth according to its persistence characteristics. The results suggest that during the reform period, only a minority of output growth variance can be attributed to demand shocks and business cycle fluctuations. It is also found that there is substantial heterogeneity in the persistence characteristics of output growth across provinces. Implications of the findings for macroeconomic policy are discussed. © 2013 Copyright Taylor & Francis. China's path to emerging as the world's second largest economy has not been a smooth one. This paper considers whether the volatility of growth has had an impact on the trend rate of growth. In doing so it aims to promote a better understanding of the determinants of China's impressive trend rate of growth and also shed light on questions such as whether the trend rate of growth might have been even higher had the government and central bank been better able to offset volatility. Utilizing a GARCH-M model, the results of the empirical analysis suggest that the impact of volatility has been either positive or insignificant, but not negative. © 2010 Higher Education Press and Springer-Verlag Berlin Heidelberg. In 1949 Shanghai was the leading international financial center (IFC) in Asia. Recently the push of Shanghai to regain its long lost status of a regional IFC has begun to attract widespread interest. This paper first draws upon the IFC literature to highlight the factors that are considered to be important in determining the potential of a city to emerge as an IFC. Shanghai's progress is then measured against these criteria and is also placed in a comparative perspective by measuring against Hong Kong and Singapore. © World Scientific Publishing Co. and Center for Pacific Basin Business, and Economics and Finance Research. State-owned banks remain dominant in China's financial sector despite over two decades of gradual financial liberalization. Their performance is typically evaluated using commercial banking criteria. The standard view is that because state banks have experienced declining profitability and capital adequacy, they have been a drain on past economic development and endanger future growth prospects. However, we argue that state banks have strong development bank characteristics and hence warrant different performance criteria. The analysis in this paper suggests that while their commercial performance may have been poor, the overall impact of state banks on China's economic development appears to have been both positive and sustainable. Copyright © 2001 John Wiley & Sons, Ltd. The much-publicized declining financial performance of China's state-owned enterprises (SOIEs) is generally assumed to be evidence of their worsening economic efficiency. However in this paper we show that during 1980-1996, total factor productivity actually increased at an average annual rate of 1.90% and was responsible for 41% of the rise in SOIE output. The decline in financial performance can be attributed to their terms of trade deteriorating at an average annual rate of 3.19% due to increased competition and price reform. Numerous other factors, apart from economic efficiency, can further explain why the level of SOIE profitability has lagged behind non-state-owned industrial enterprises. While these conclusions do not imply that SOIEs have become efficient by international standards, they do suggest that their economic performance was significantly better than is generally claimed. They also confirm the need to evaluate economic performance directly, using criteria appropriate to the Chinese context. Laurenceson, J & Chai, JCH 1998, 'Financial liberalization and financial depth in China', Savings and Development, vol. 22, no. 4, pp. 393-413. This paper first investigates whether any meaningful financial liberalization has taken place in China since economic reforms began in 1978. An index of financial repression is constructed for this purpose. It shows that apart from official economic austerity programs in 1985, 1989-1991 and 1994, a steady decline in financial repression has eventuated. The paper then investigates whether this financial liberalization has contributed to financial deepening as the Mckinnon-Shaw hypothesis suggests should be the case. An econometric autoregressive distributed lag model(ADL) is estimated to shed light on this issue. Financial depth is modeled as a function of real GDP per capita, the real interest rate, financial institution density and our financial repression index. The results show that over the period 1978-1996, financial depth has been strongly influenced by real GDP per capita and the real interest rate. An error correction model(ECM) derived from the ADL model reveals that the real rate of interest is a particularly important factor in explaining short run fluctuations in financial depth. The results are therefore generally supportive of the McKinnon-Shaw hypotesis.